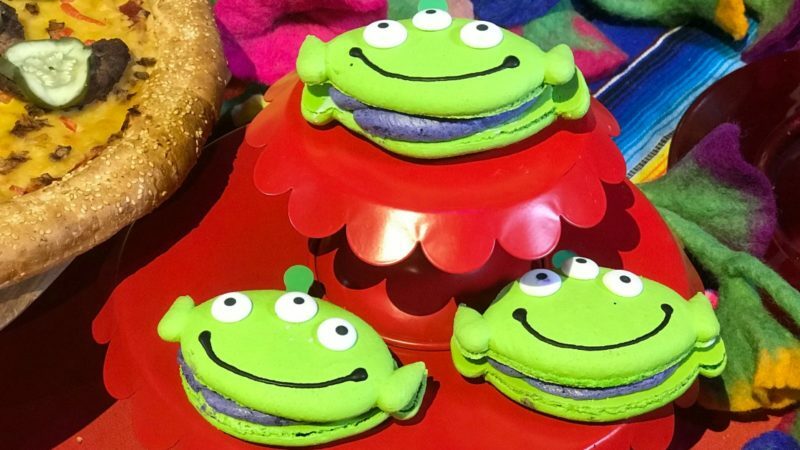 Hey Pixar fans, are you ready to have a bite to eat with the Aliens from Toy Story or Remy from Ratatouille? Then it’s time to head to PixarFest at Disneyland this summer. 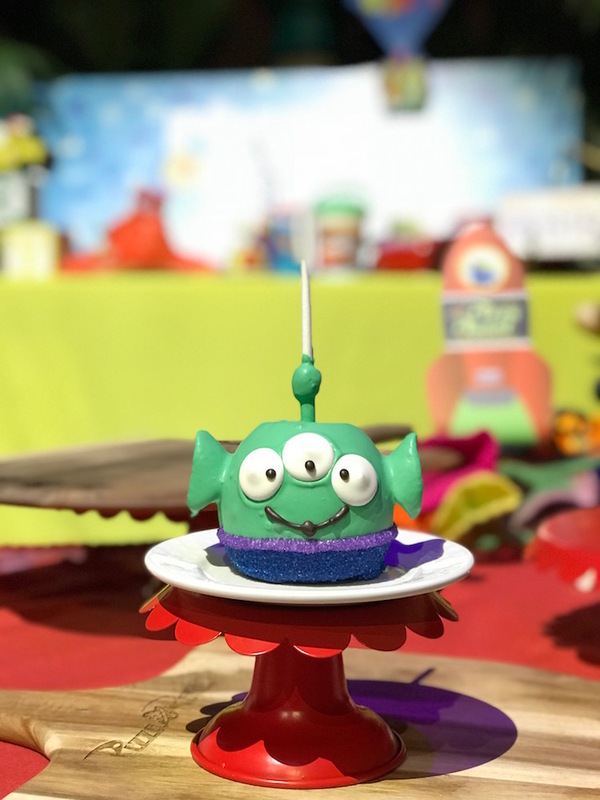 I attended the media preview of Pixar Fest last week and was overwhelmed by all the amazing Pixar food options. Disney really does an amazing job with theming and Pixar Fest is no different. Pixar fans should plan a trip to Disneyland before September 3; just like the Disneyland Food & Wine Festival, Pixar Fest is a limited time offering! You will find Pixar themed food all over both Disneyland and Disneyland California Adventure. From sweet and savory dishes to snacks and 3-course meals, there is Disney Pixar food for everyone. 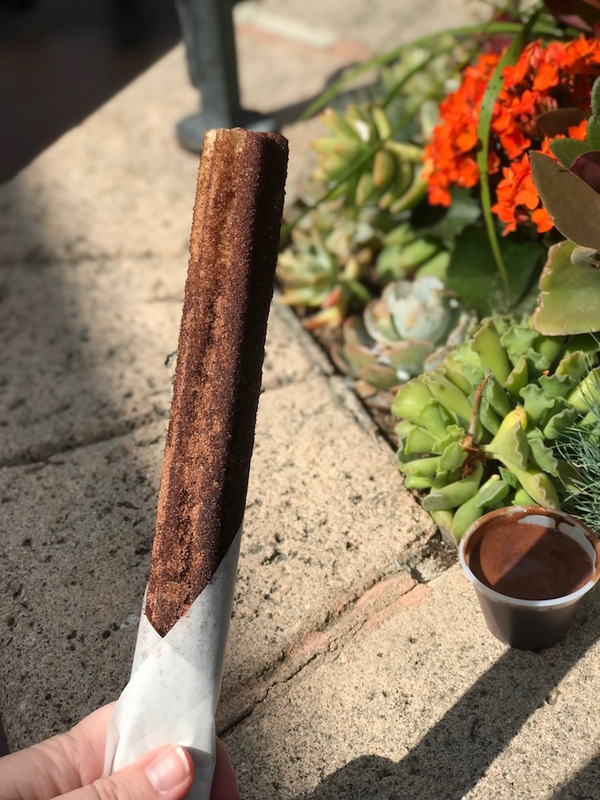 Find the Coco themed chocolate churro at the Frontierland churro cart in Disneyland. Speaking of churros, there are a ton of new churro varieties celebrating Disney Pixar! These include a carrot cake churro in New Orleans Square and an Up themed churro at the Sleeping Beauty Castle Churro Cart. Stick around at Disneyland to find Up themed lunch and dinner options at the Carnation Cafe. Choose from a Fried Bologna Sandwich or Pork Chop TV dinner. The Pork Chop Dinner includes spiced apple pork chop, mashed potatoes, peas and carrots, corn muffin and a molten lava cake, all served on a TV Tray. It’s exactly what you’d image Carl and Ellie from Up eating for dinner! I am most excited about the aliens taking over Redd Rockett’s Pizza Port in Tomorrowland. 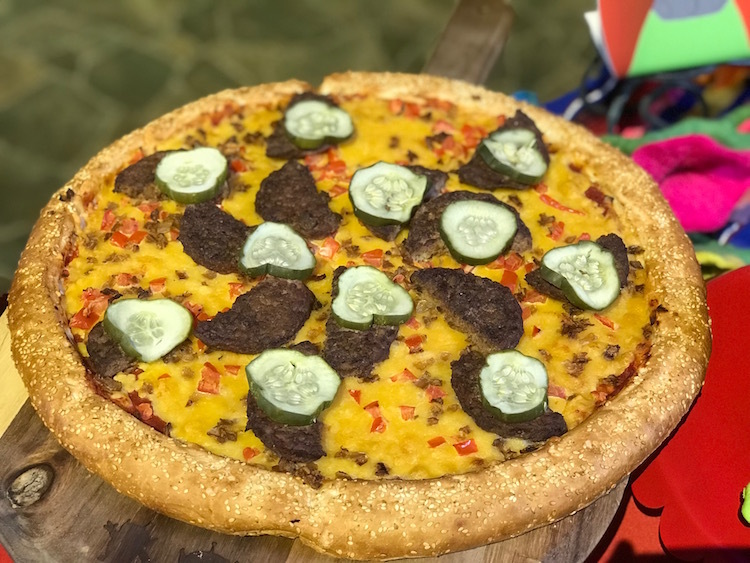 Most Toy Story fans already called that restaurant Pizza Planet, and Disneyland is making it official, at least during Pixar Fest. 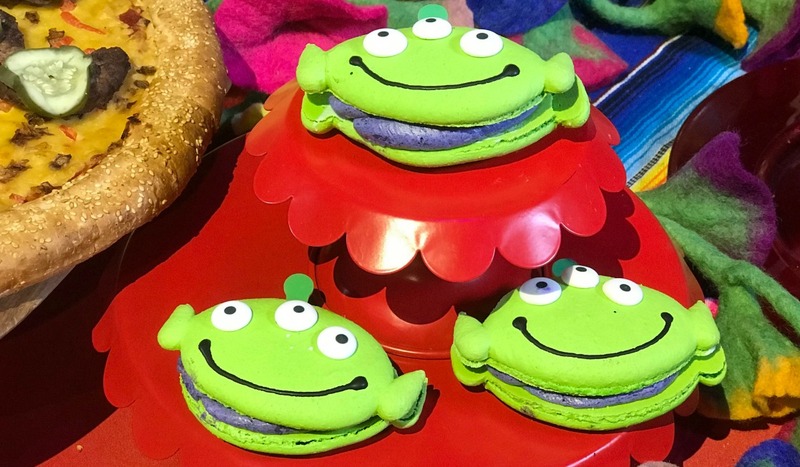 Head over to Alien Pizza Plant for Cheeseburger Pizza, Green Miso Pesto Pasta, and adorable Alien Macaroons. If you are looking for a more formal meal, check out the themed 3-course meal inspired by Ratatouille at Cafe Orleans. It includes Remy’s favorite dish, shrimp ratatouille. 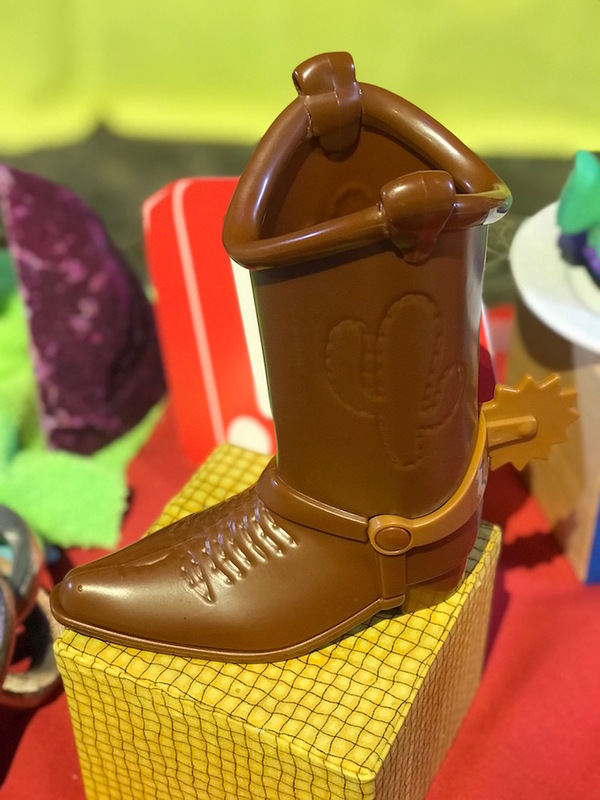 I think the ultimate souvenir for Toy Story fans will be the root beer float you can order in one of Woody’s boots at the Golden Horseshoe. The bottom is signed by Andy, just like in the Toy Story films! 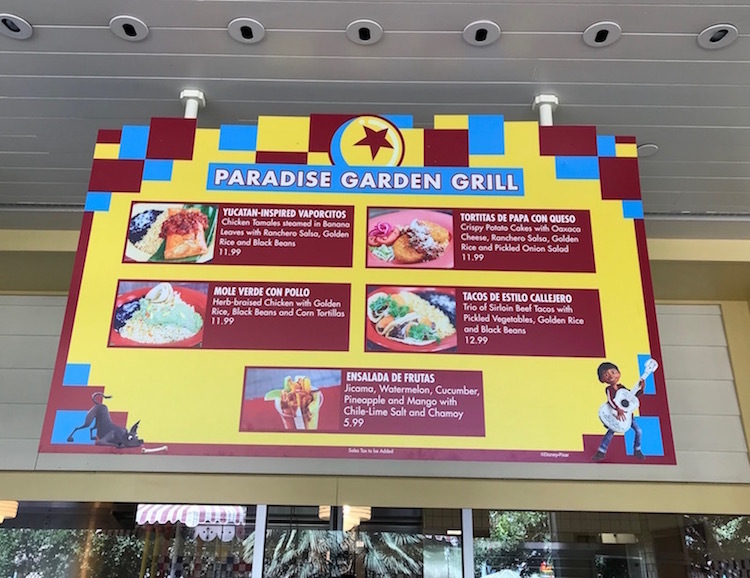 Coco fans will find Tortitas de Papa Con Queso and Tres Leches Parfait at the Paradise Garden Grill. The Lucky Fortune Cookery at California Adventure is offering Chilled Noodle Salad inspired by Monster’s Inc. Squeeze a little lime on the noodles and watch them turn from purple to pink just like that sneaky monster Randall. The Jolly Holiday Bakery Cafe will be offering Up inspired pastries, or as one cast member called them Don-UPs! Various locations in the park will be offering Pixar themed cake pops, Rice Krispies treats and candy apples. Watch for a Pixar themed Afternoon Tea at the Disneyland Hotel starting in June. Looking for more fun Pixar food options? Check out the other options showcased by Disneyland cast members in the video. Interested in more than just the Pixar themed fest food? Print a Pixar Fest scavenger hunt and check out these essential tips for Disneyland’s Pixar Fest. Have you seen all the buzz about Pixar Fest at the Disneyland Resort? SAVE BIG ON DISNEYLAND TICKETS! Ready to for a trip to Pixar Fest? Traveling Mom recommends Get Away Today for discounted Disney tickets and vacation packages. Even better, save $10 on a two or more night trip with code TravelingMom –– just for Traveling Mom readers! Don’t miss these others ways to stick to a budget on a Disneyland trip.